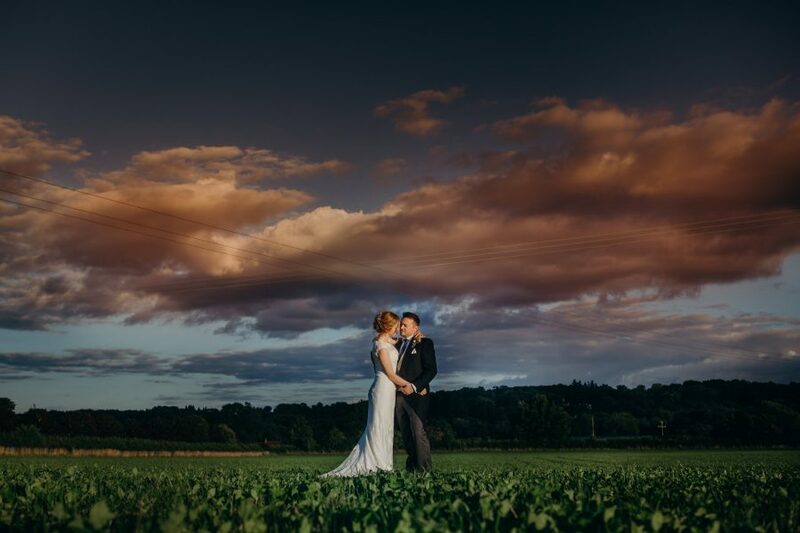 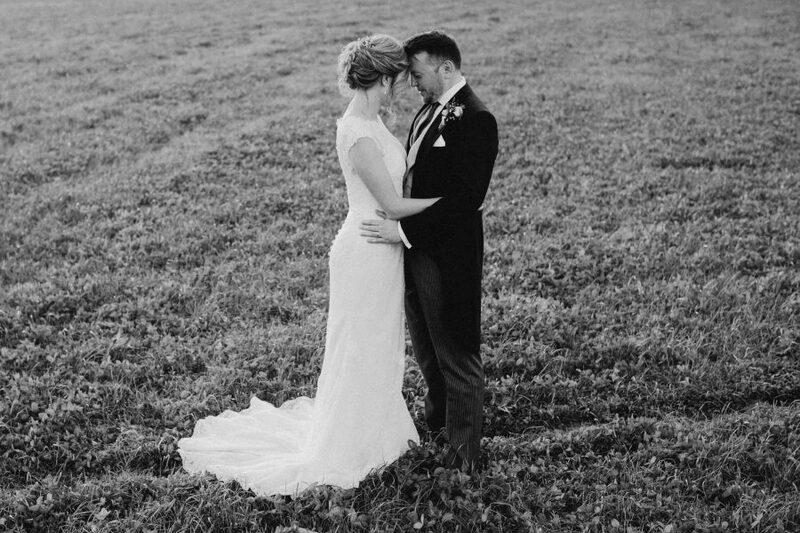 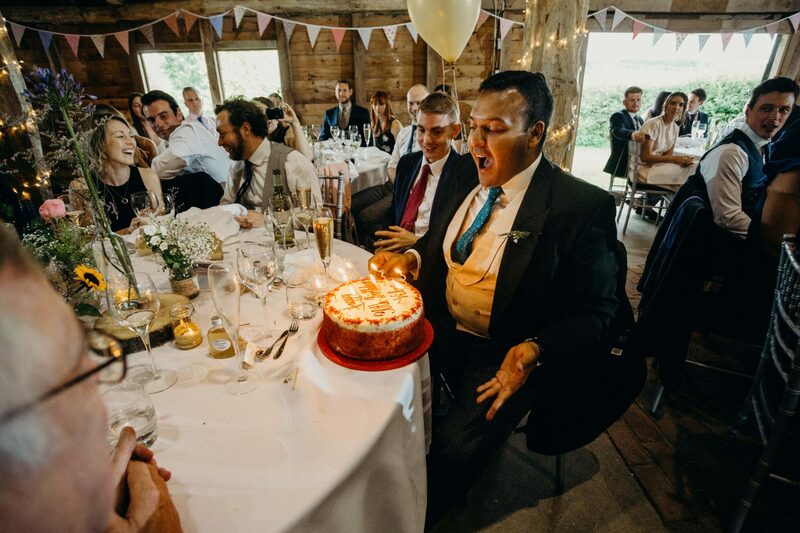 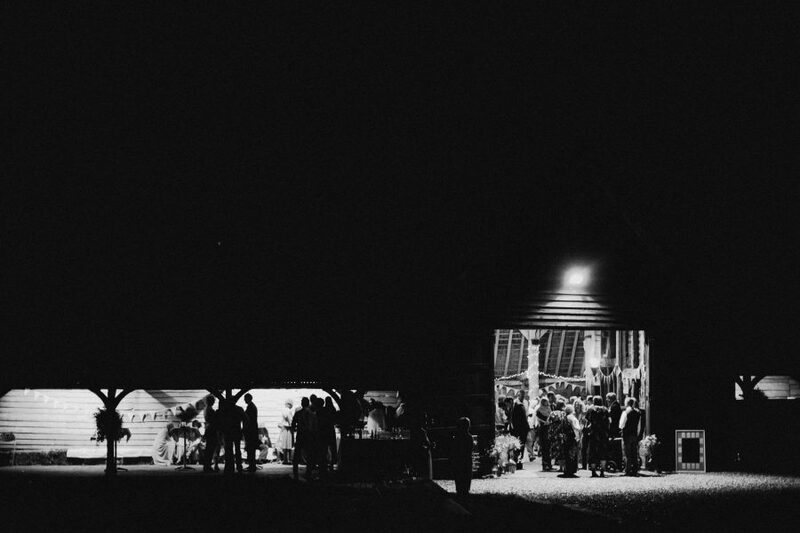 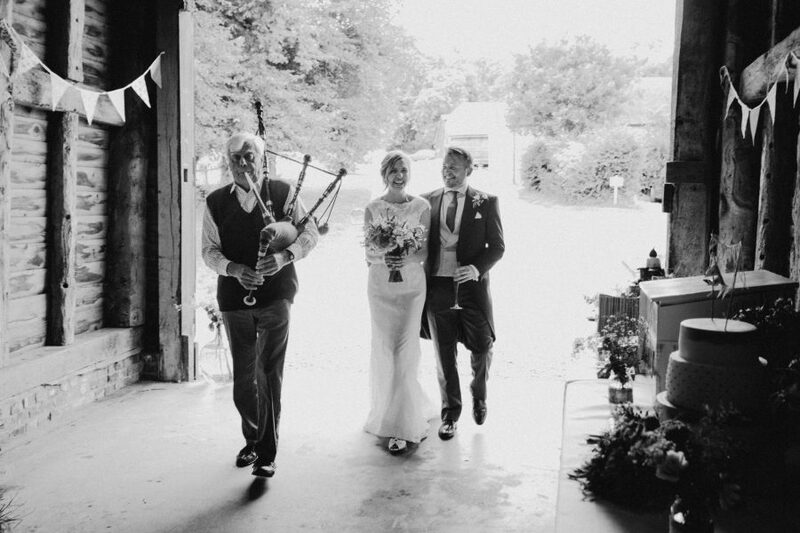 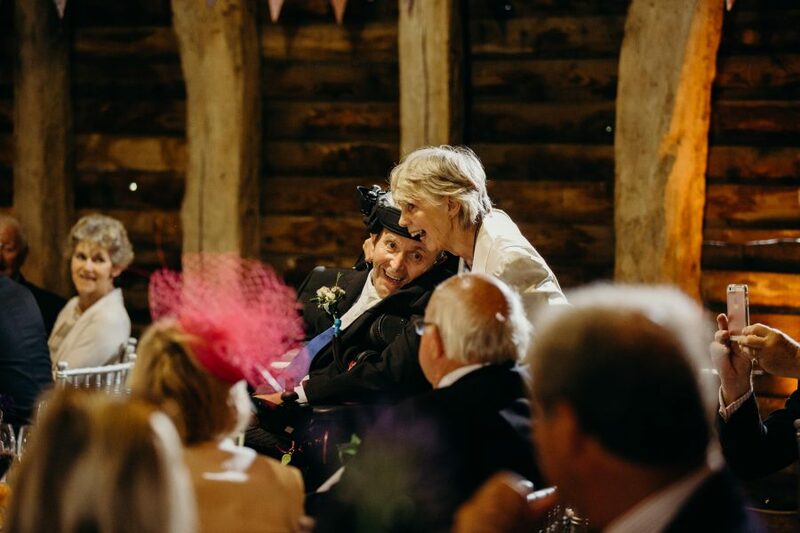 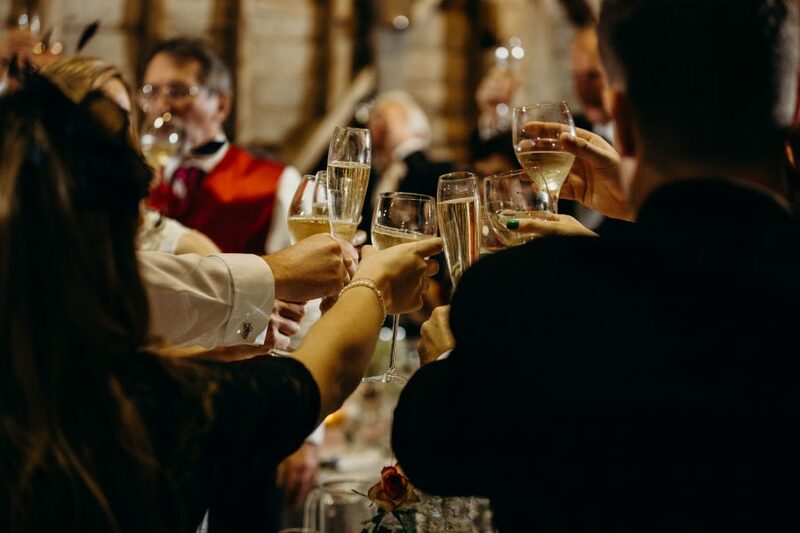 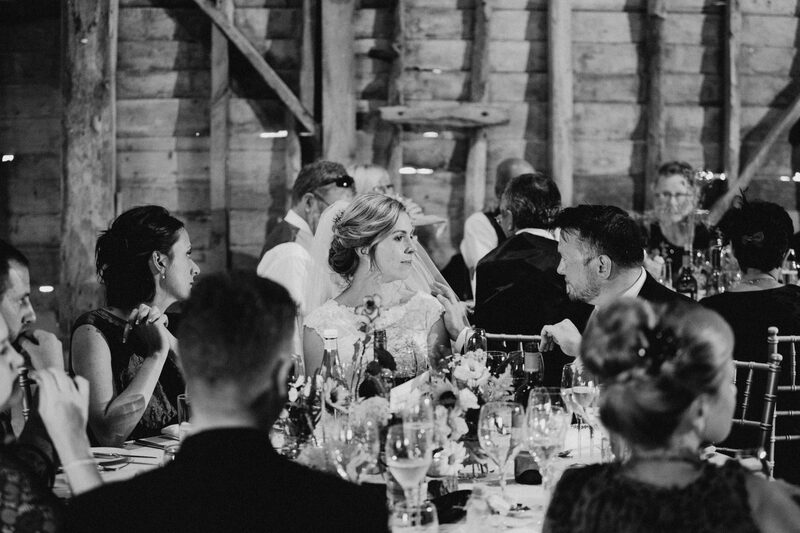 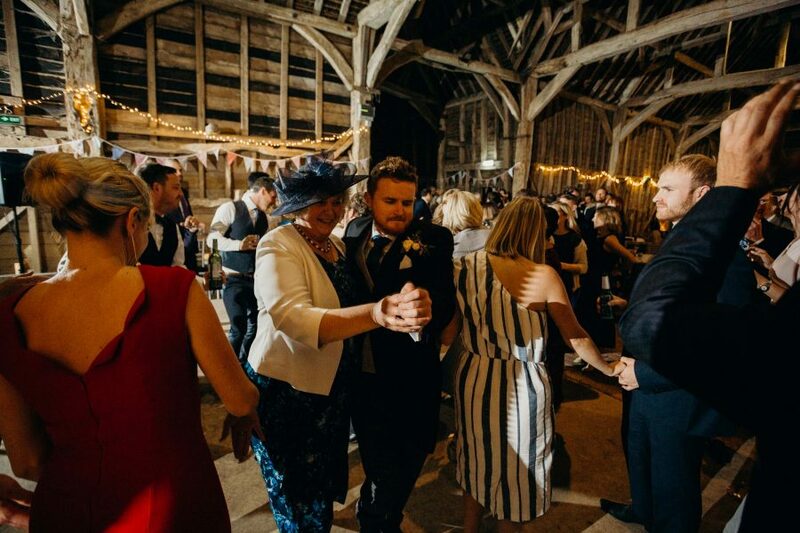 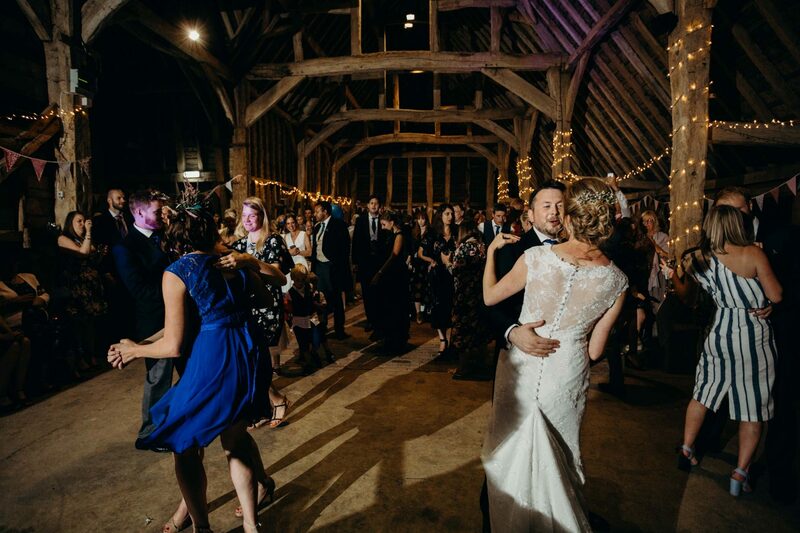 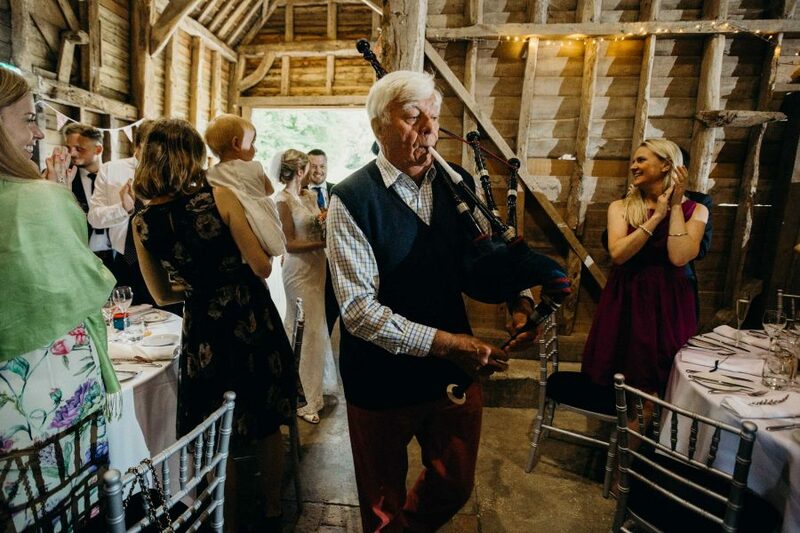 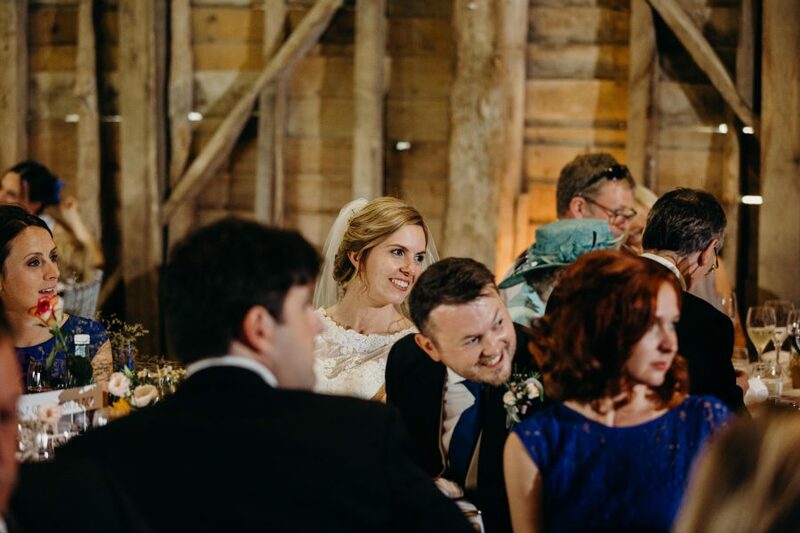 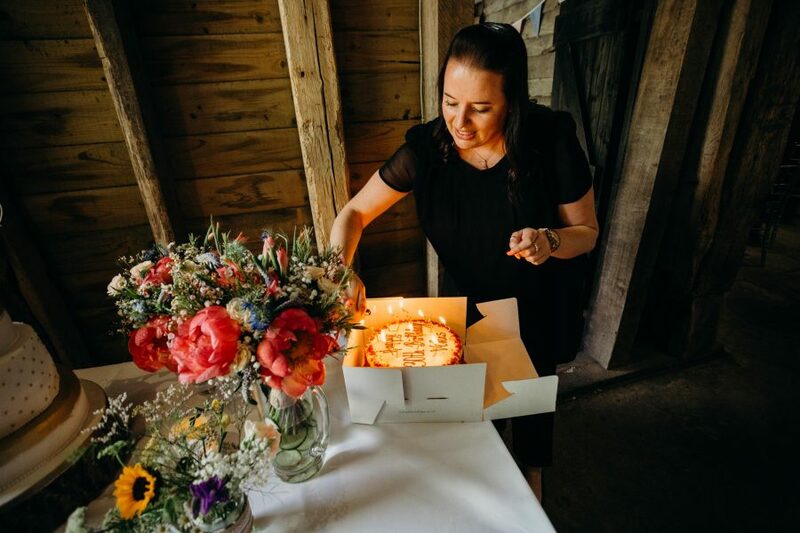 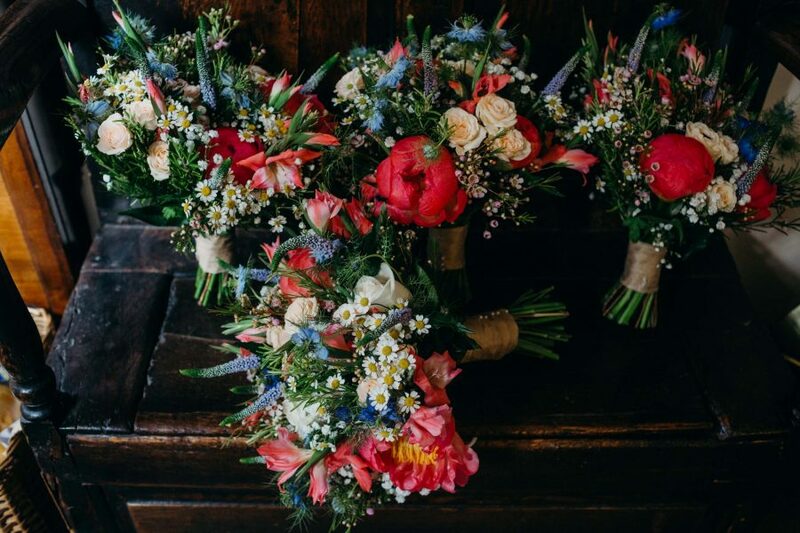 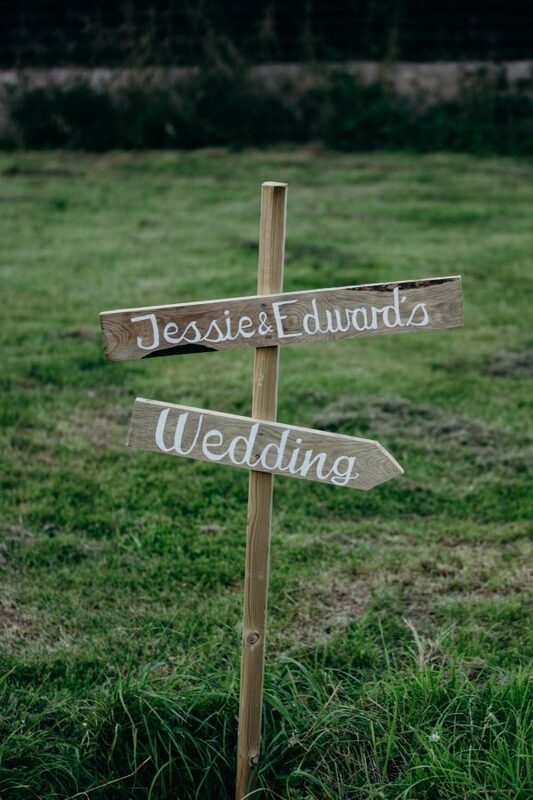 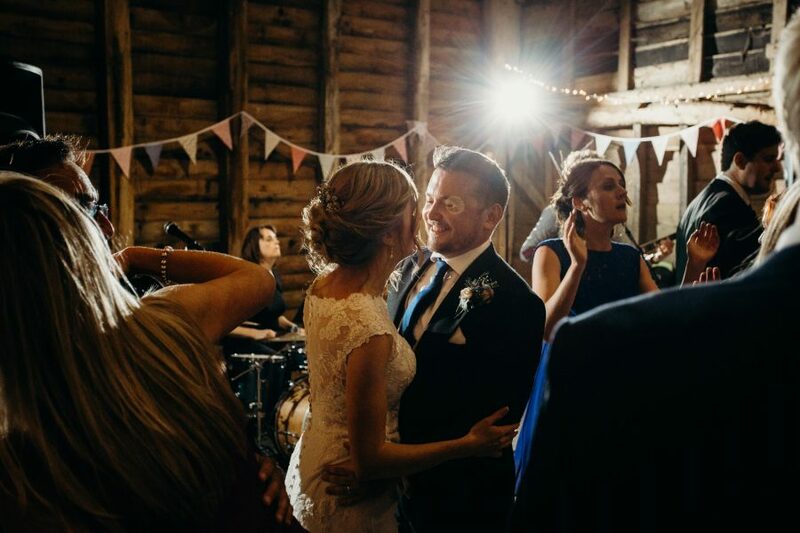 I am so pleased that Jessie and Ed chose me to capture their very colourful Black Barn wedding. 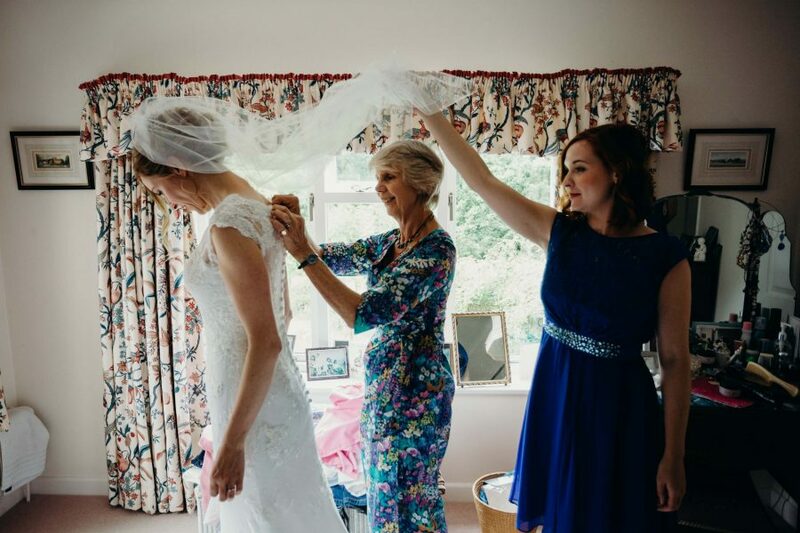 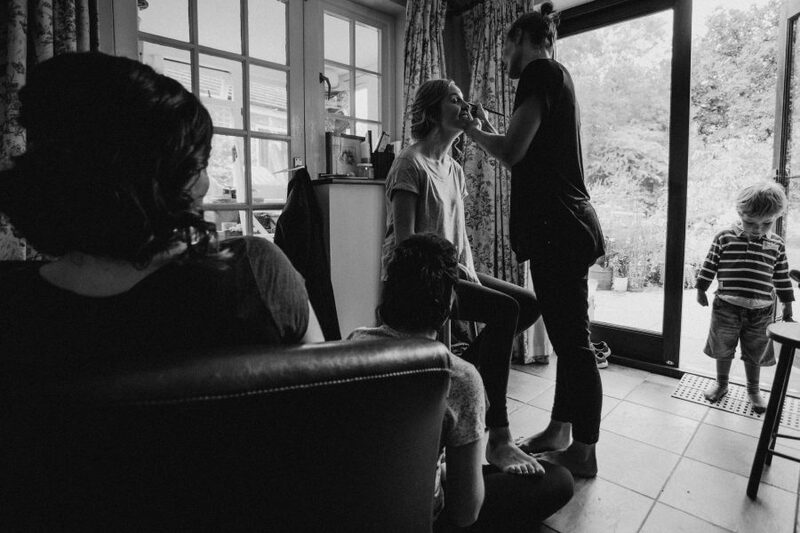 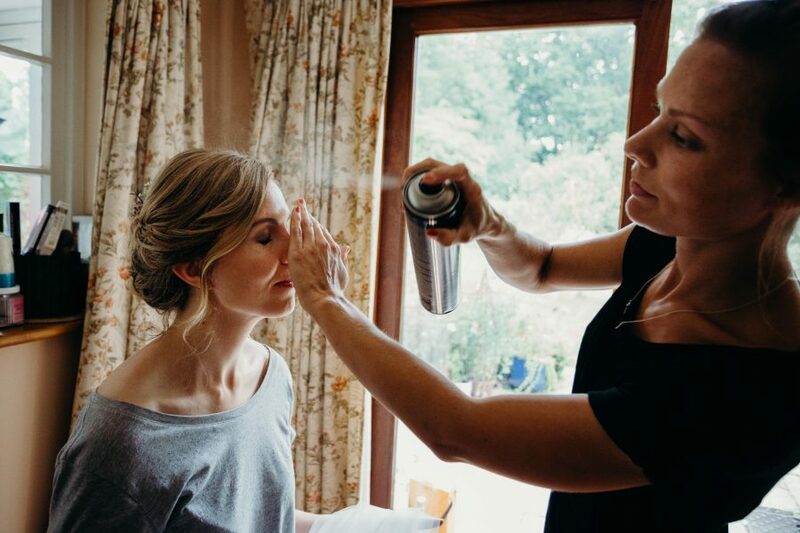 I started the day at Jessie’s house near Bradfield to capture her getting ready with close family and her bridesmaids. 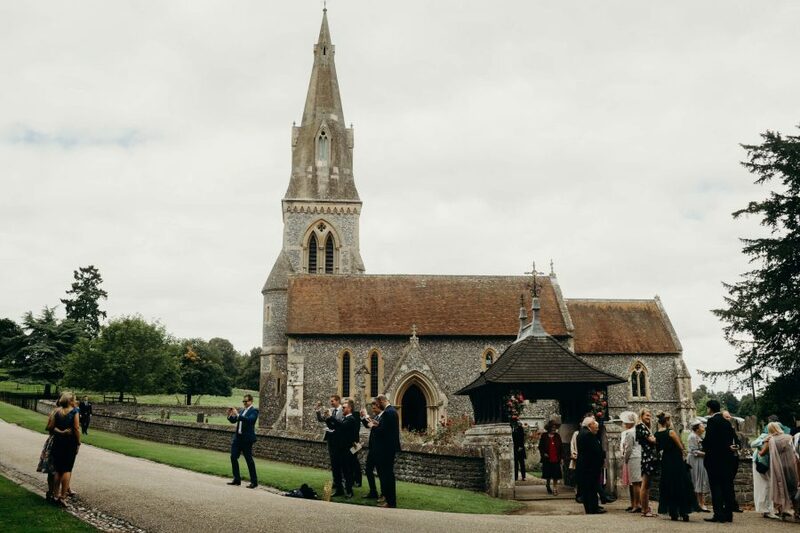 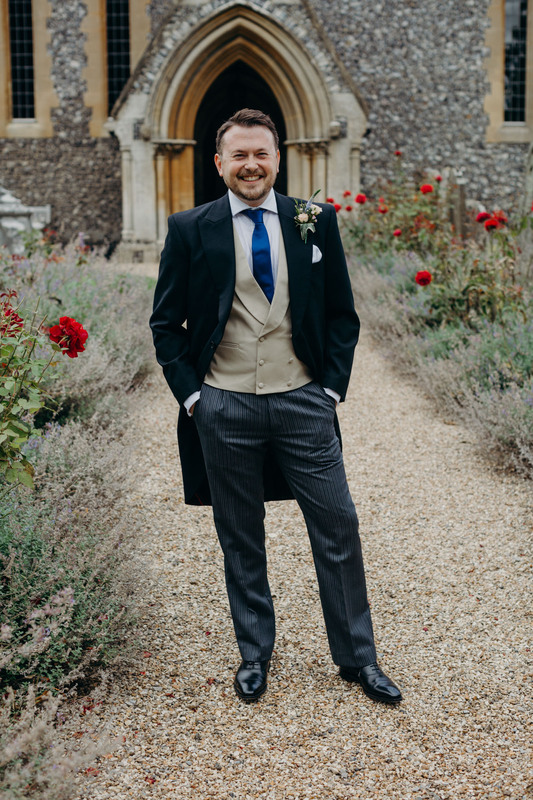 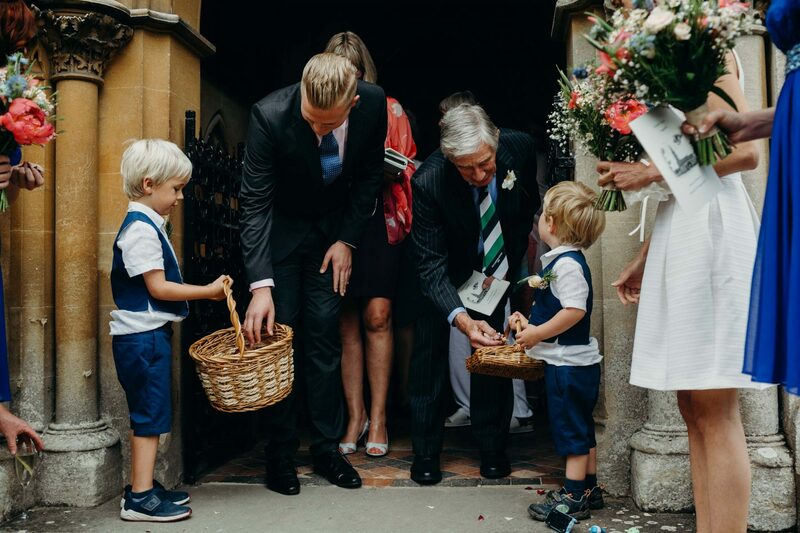 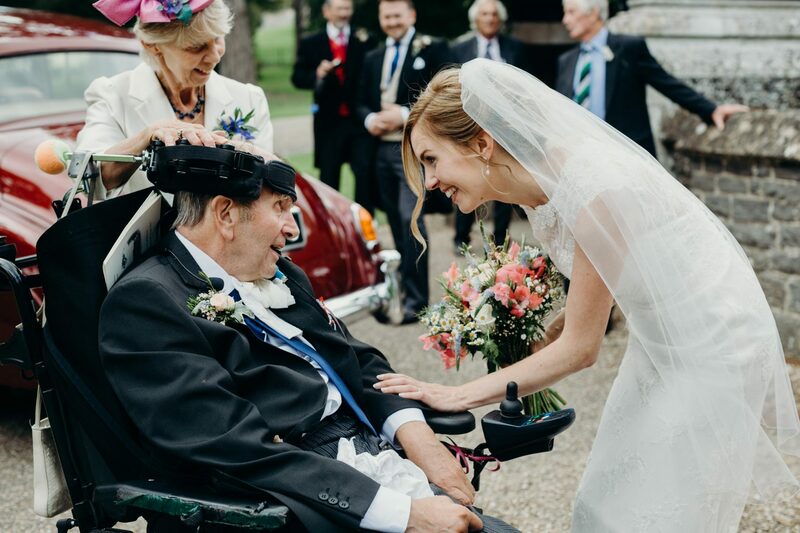 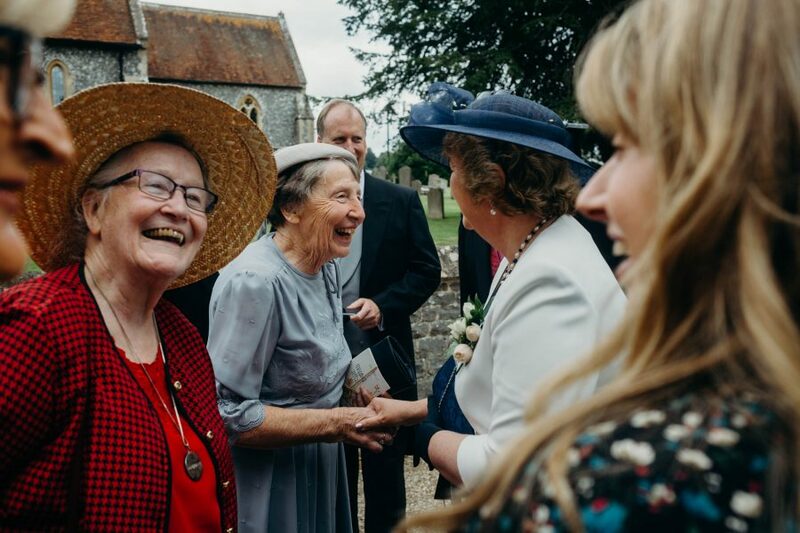 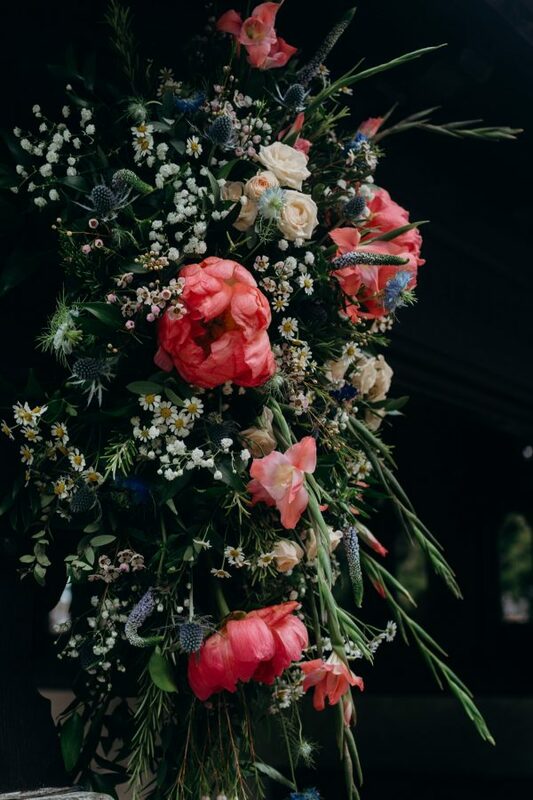 The I headed over to join Ed and his guests at St Mark’s Church, Englefield to await his brides’ arrival and capture the wedding ceremony. 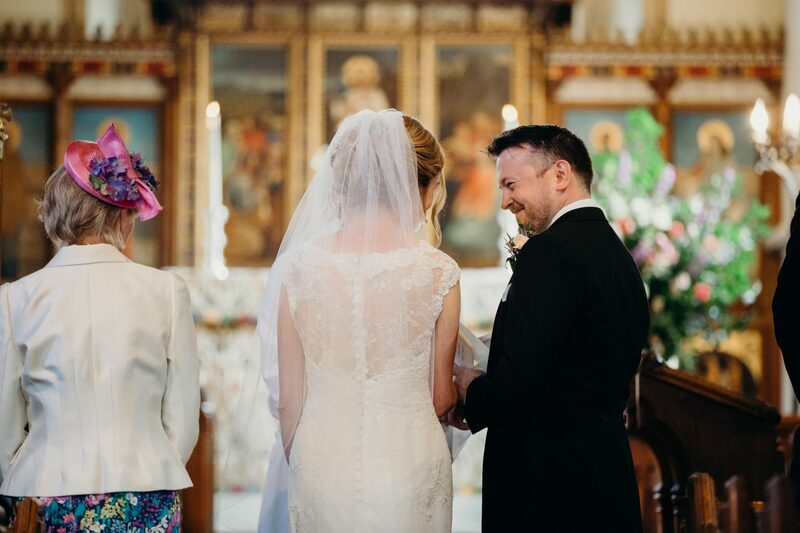 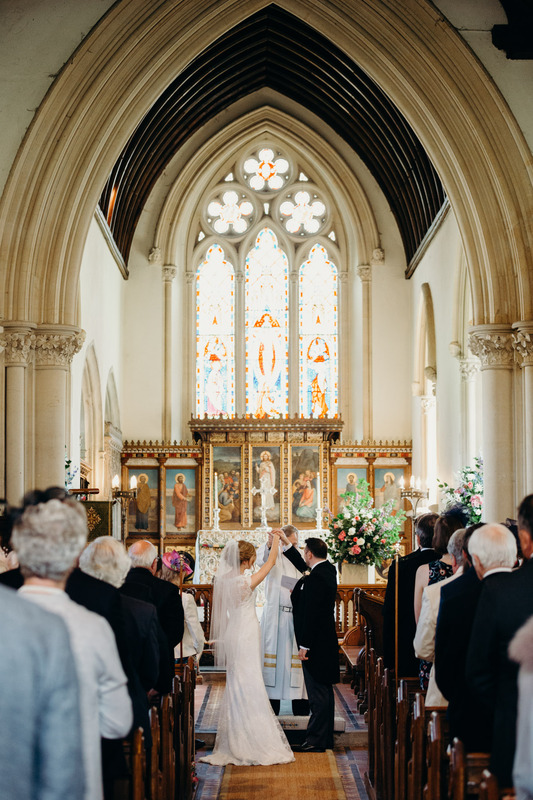 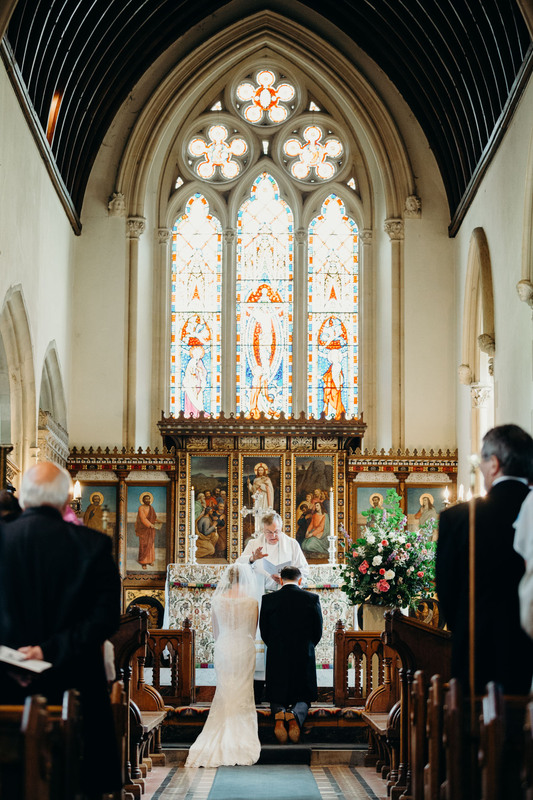 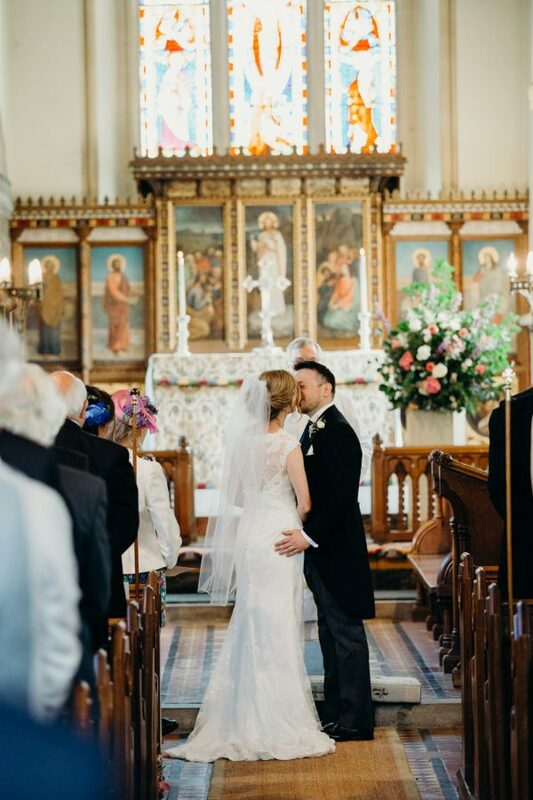 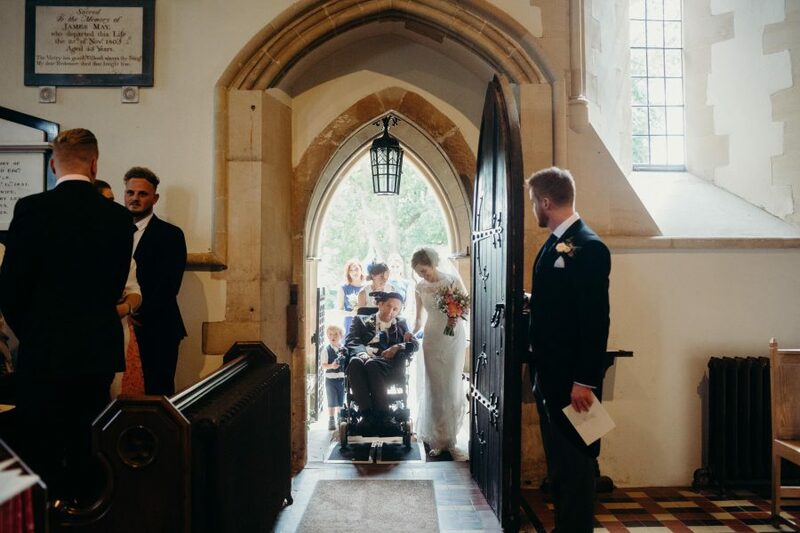 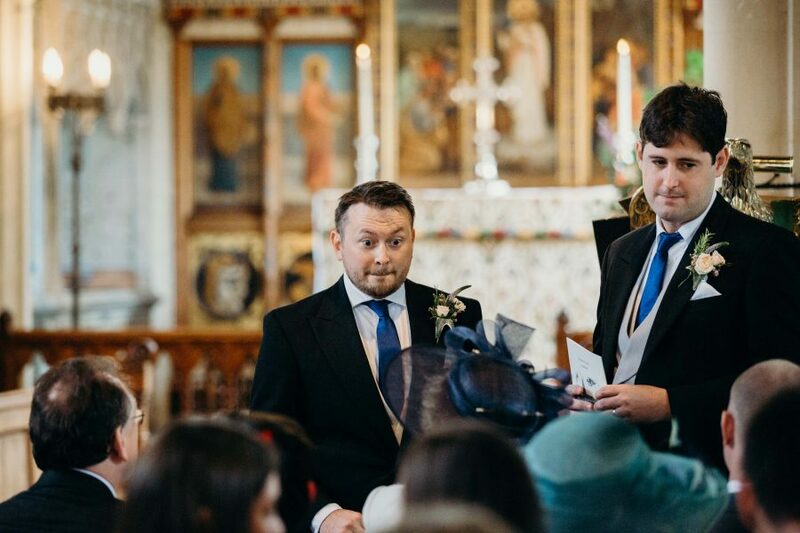 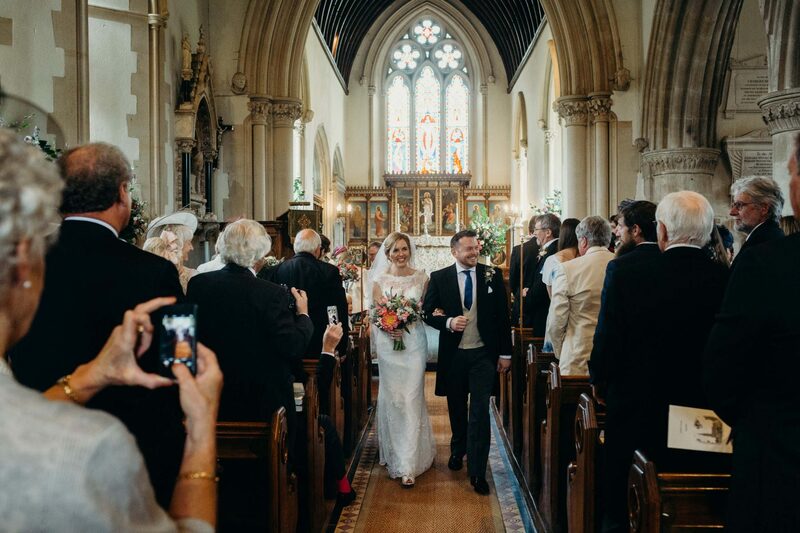 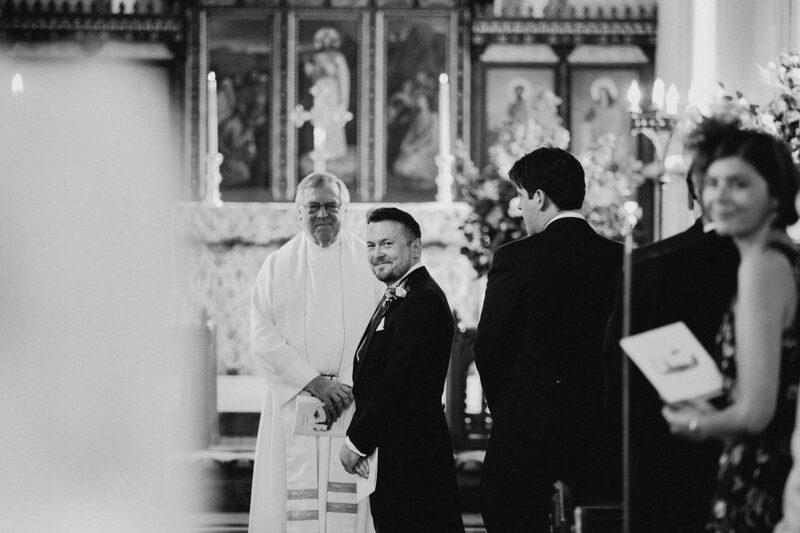 St Mark’s Church is one of my favourite ceremony venues, the light just streams through the stained glass windows to create a beautiful backdrop for the wedding vows. 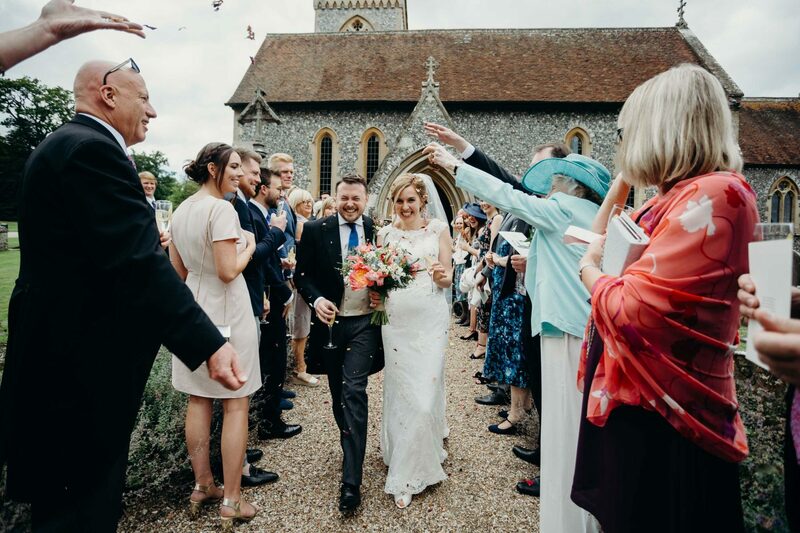 The church is perfect for confetti shots and also works well on a sunny day for Group portraits – by the way no one ever wants Group portraits but they are a great way of ensuring you can remember everyone at your wedding. 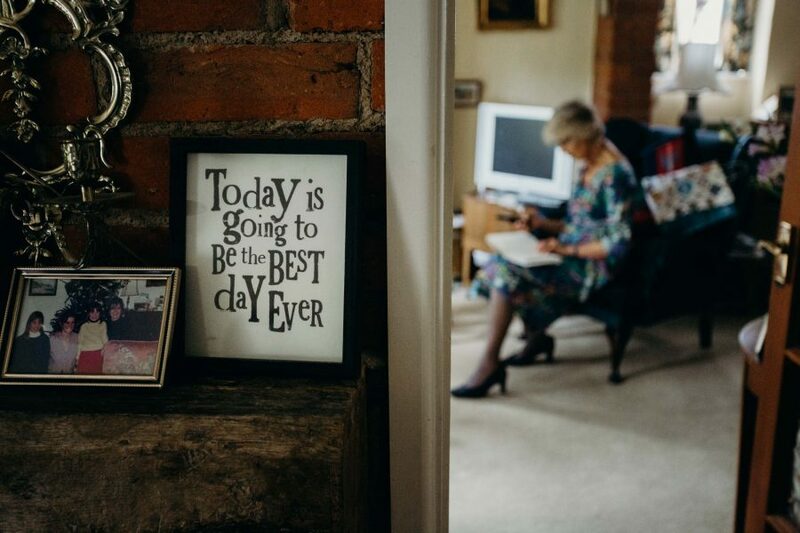 It will matter one day, promise. 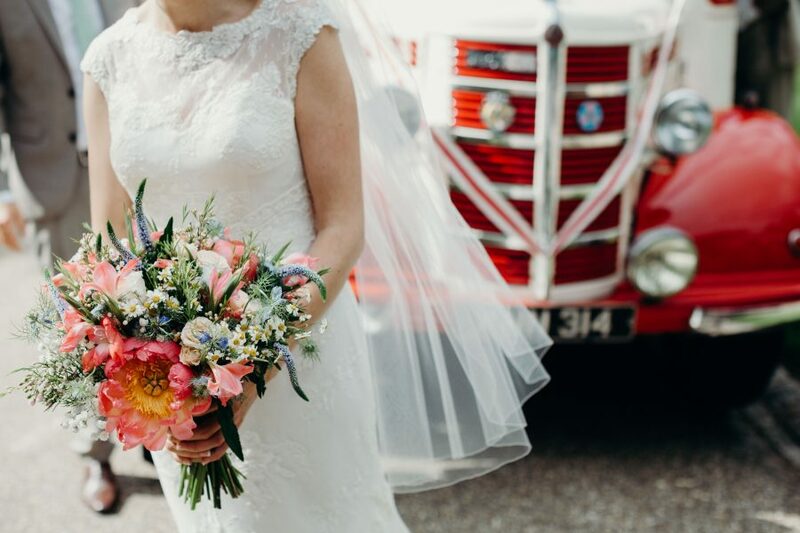 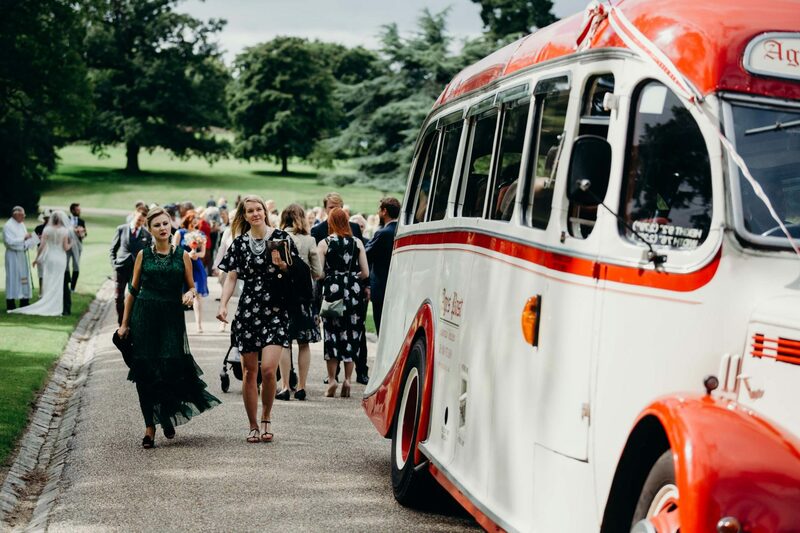 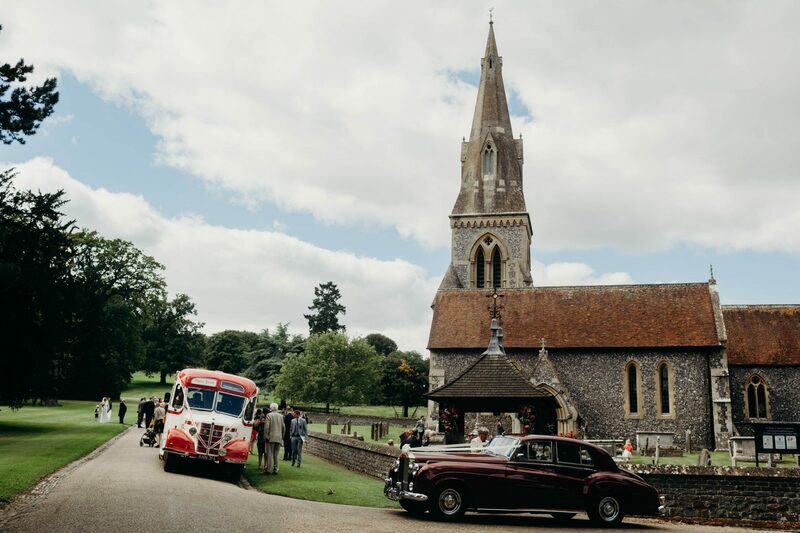 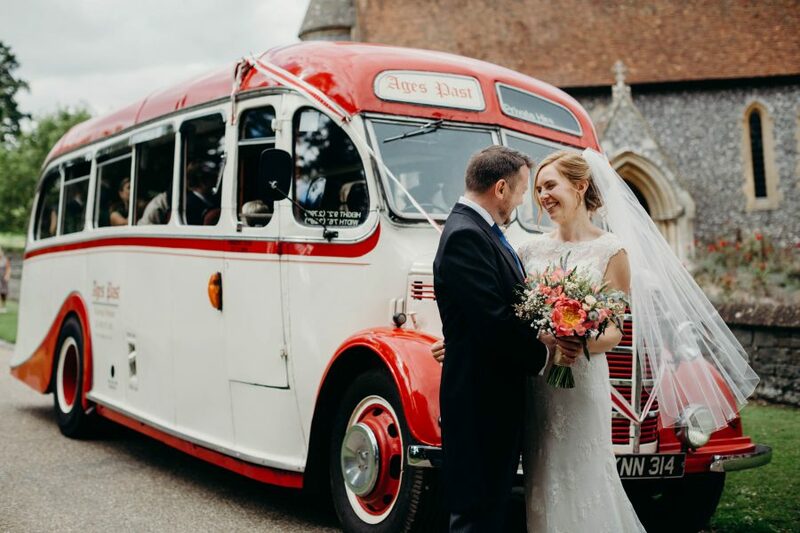 After the wedding we headed to the Black Barn in a fabulous vintage wedding bus. 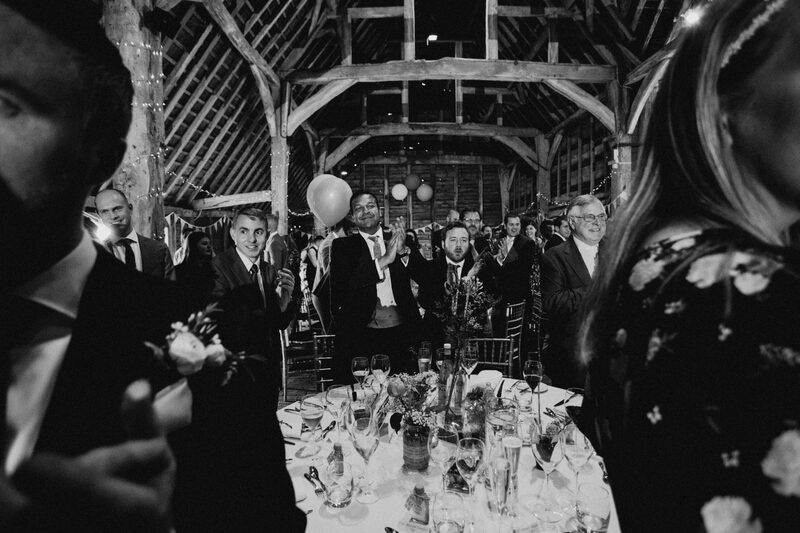 On arrival the wedding guests got stuck into the canapés while I accompanied Jessie and Ed for a walk around the lovely grounds surrounding the Black Barn. 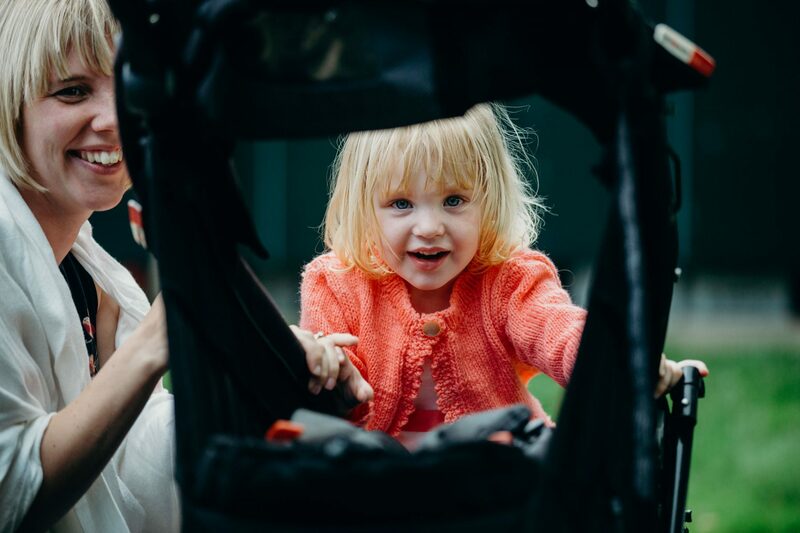 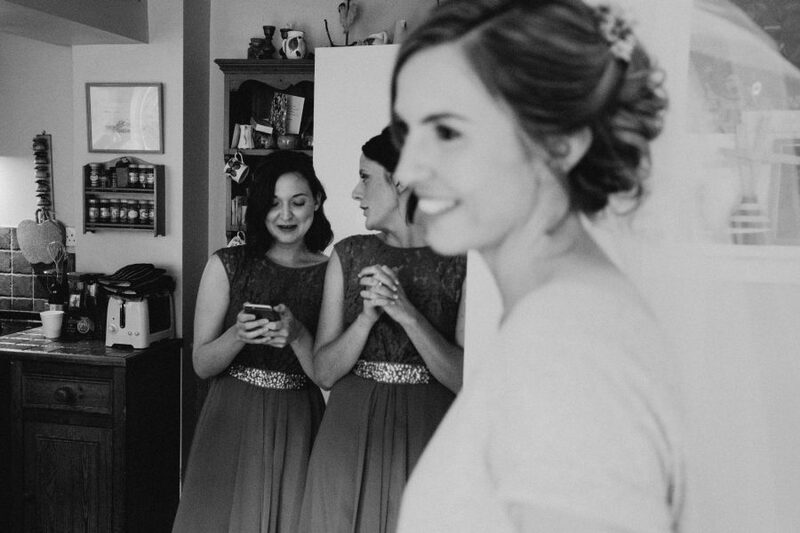 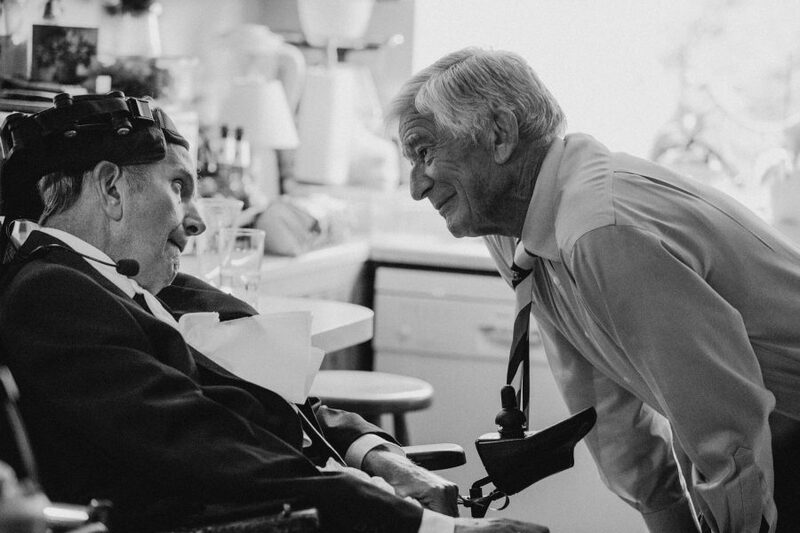 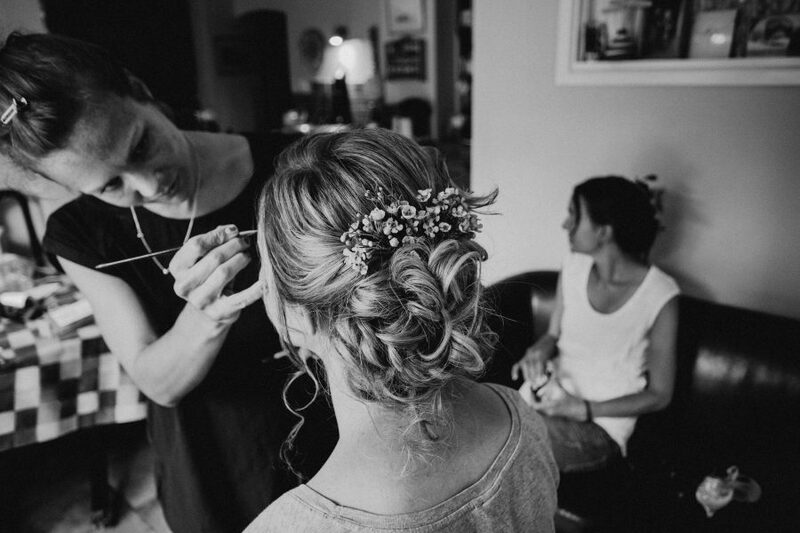 While Jessie and Ed caught up on their wedding day I took some unobtrusive portraits. 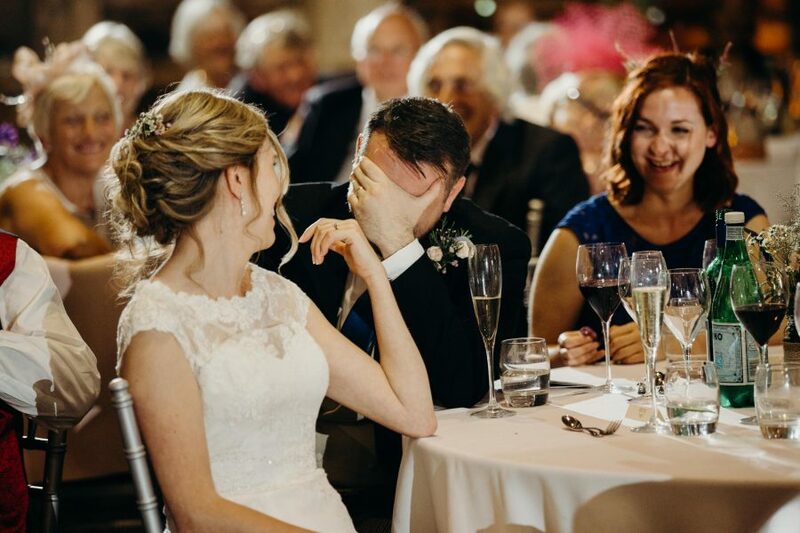 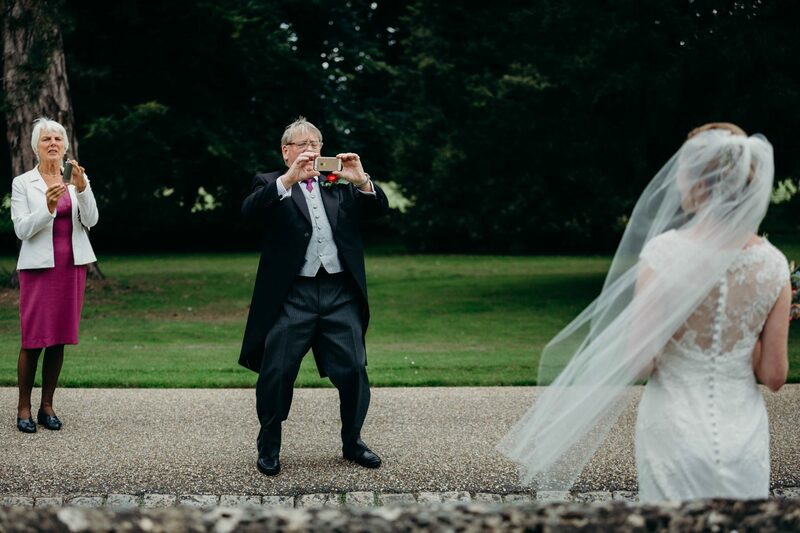 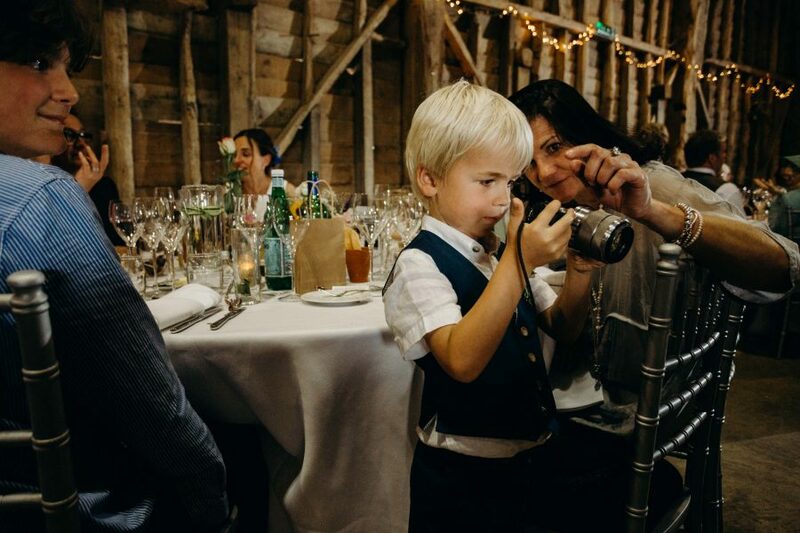 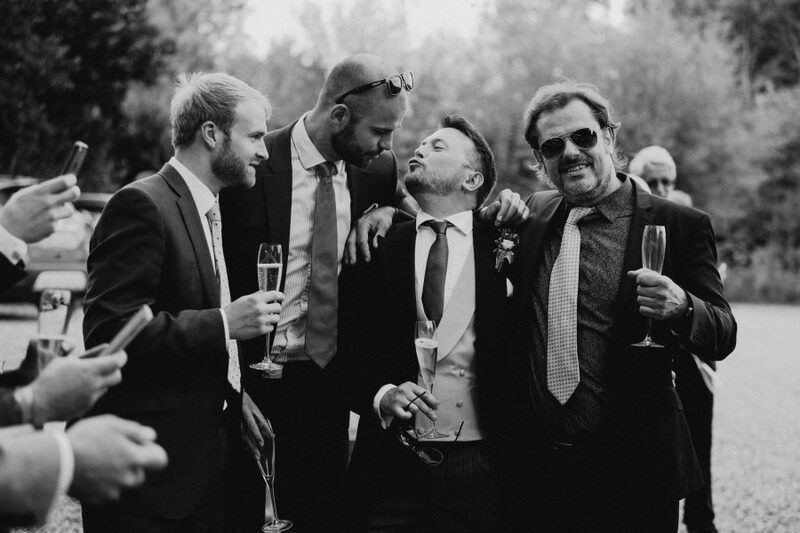 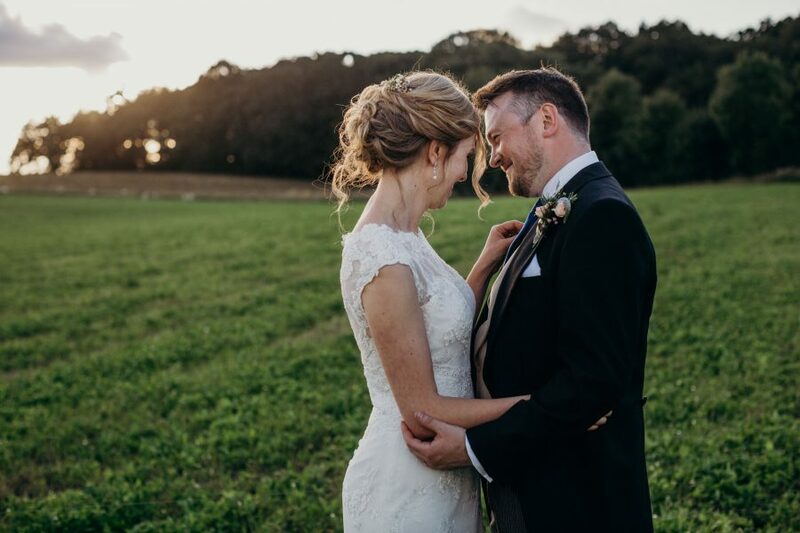 After an emotional wedding breakfast we managed to get the best out of “golden hour” and capture a few more portraits before the first dance and some serious partying got underway. 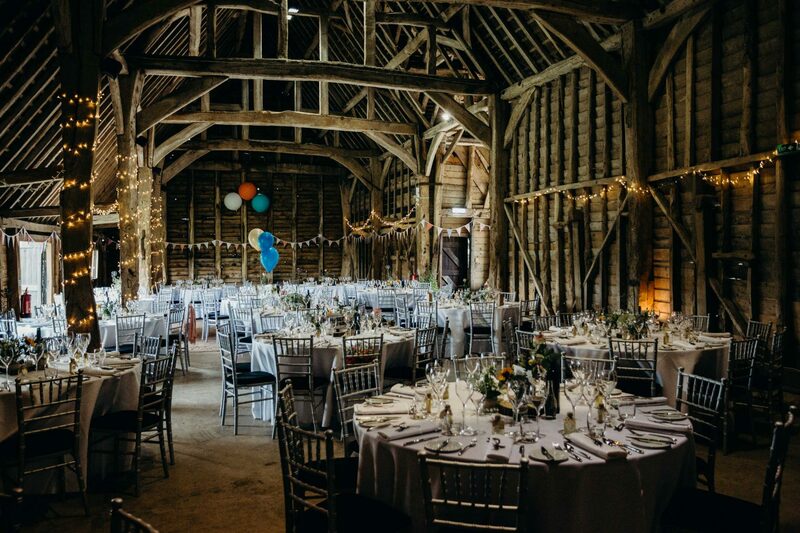 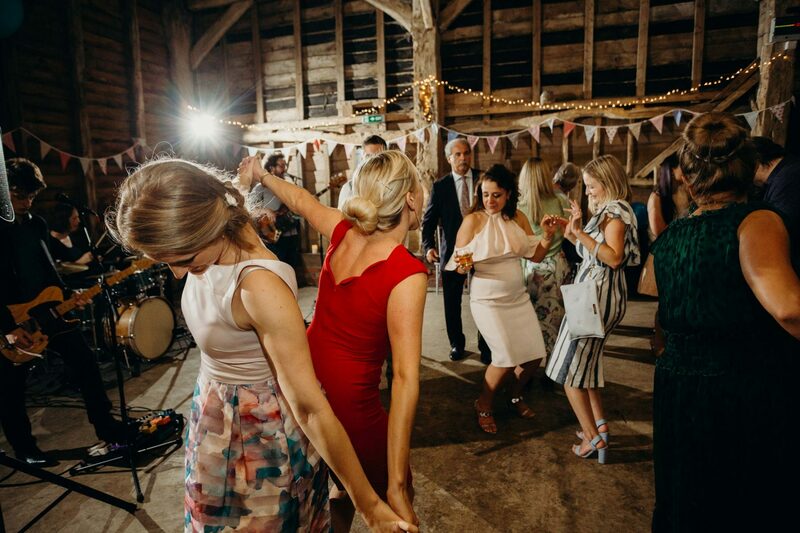 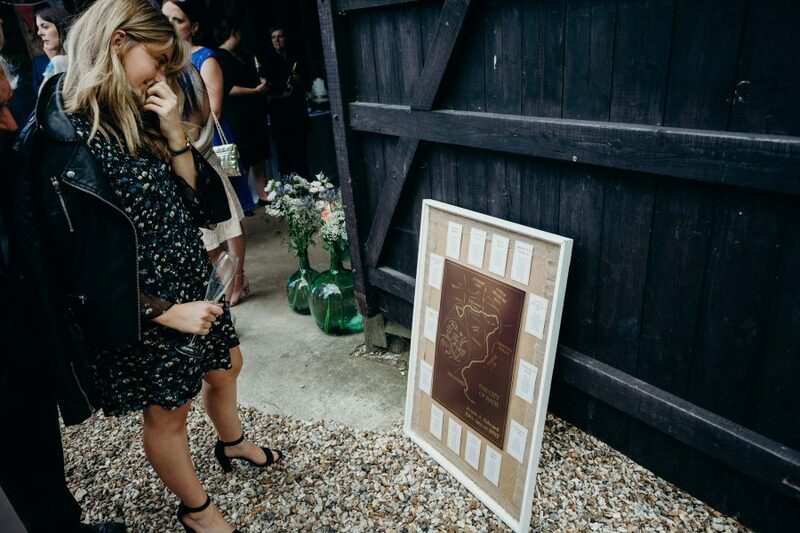 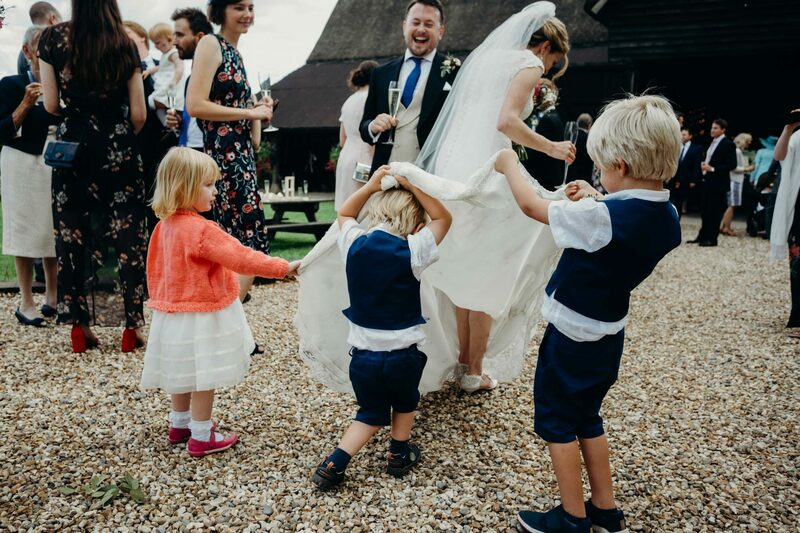 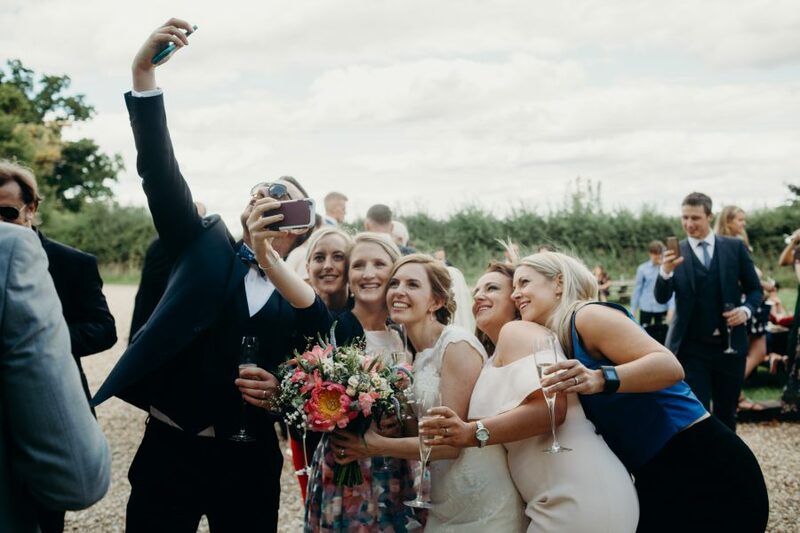 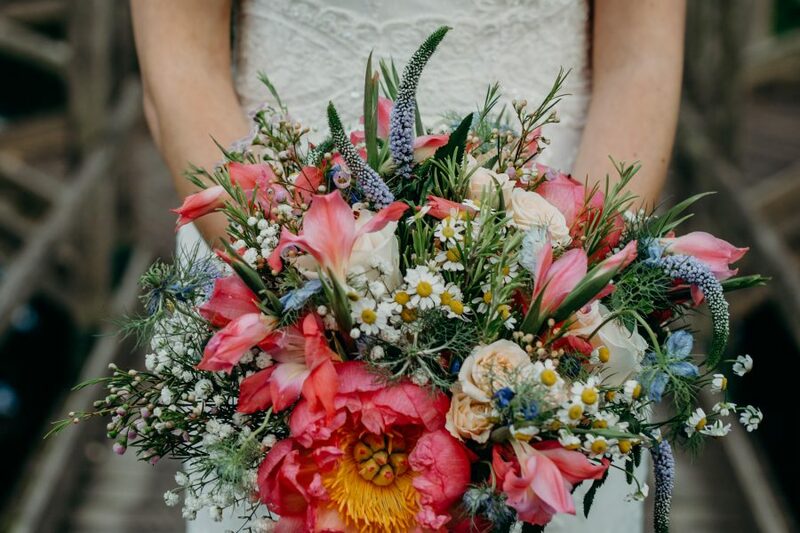 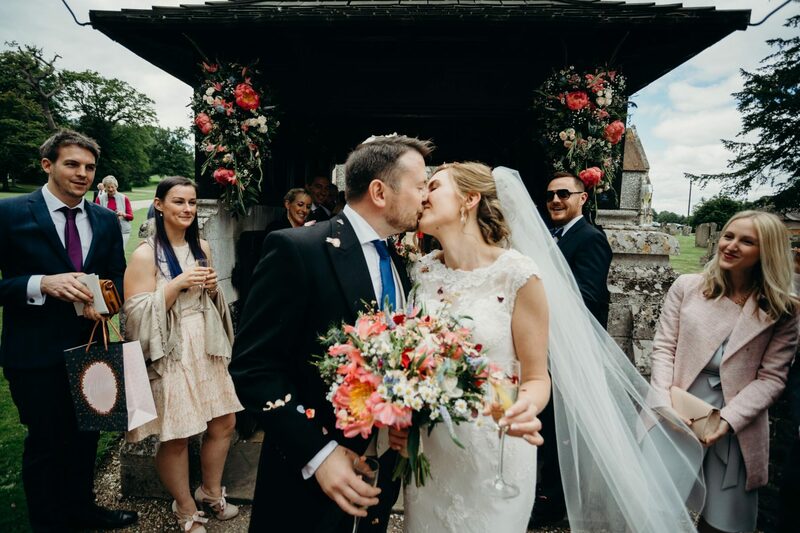 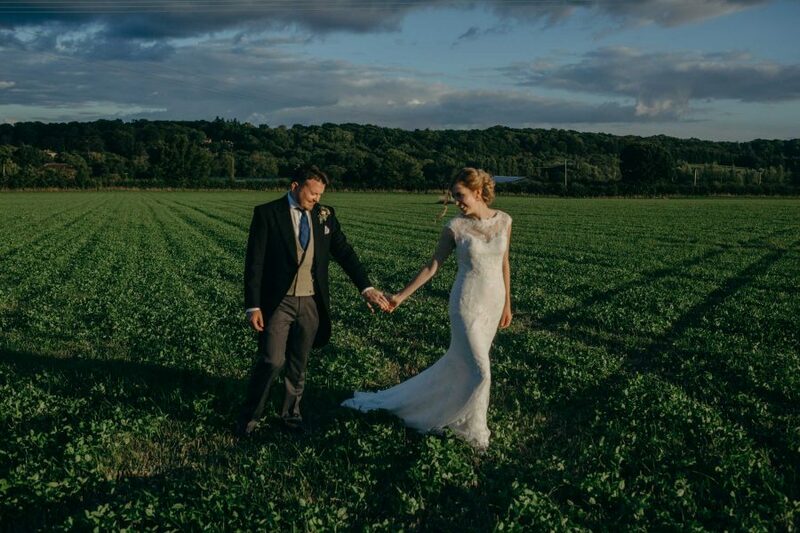 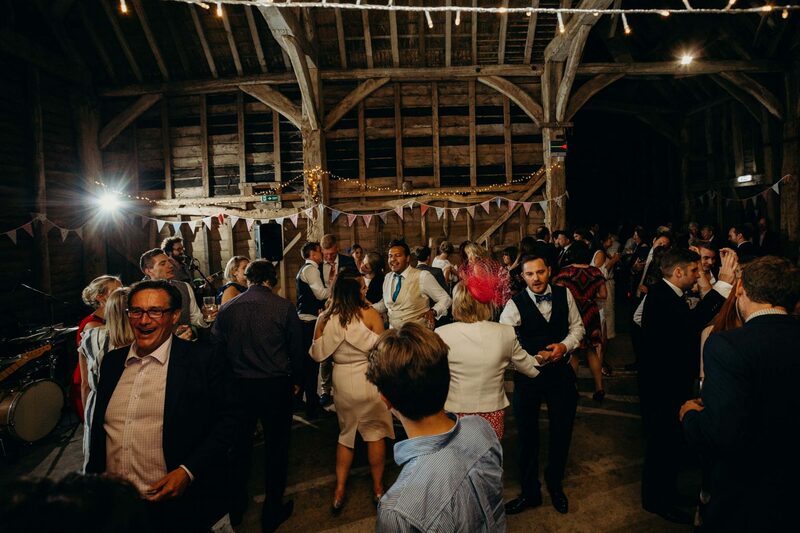 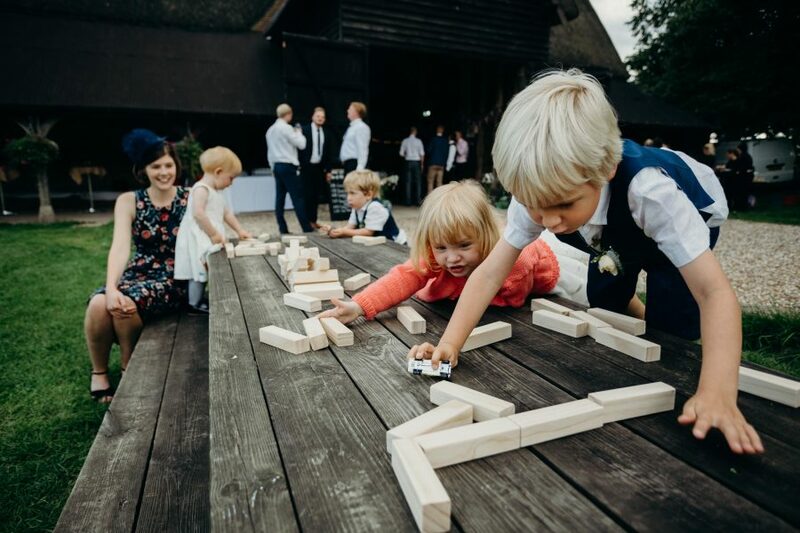 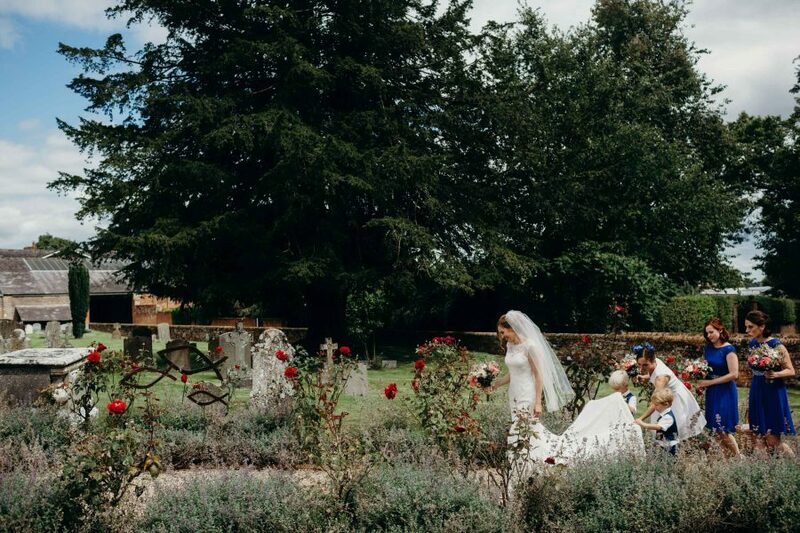 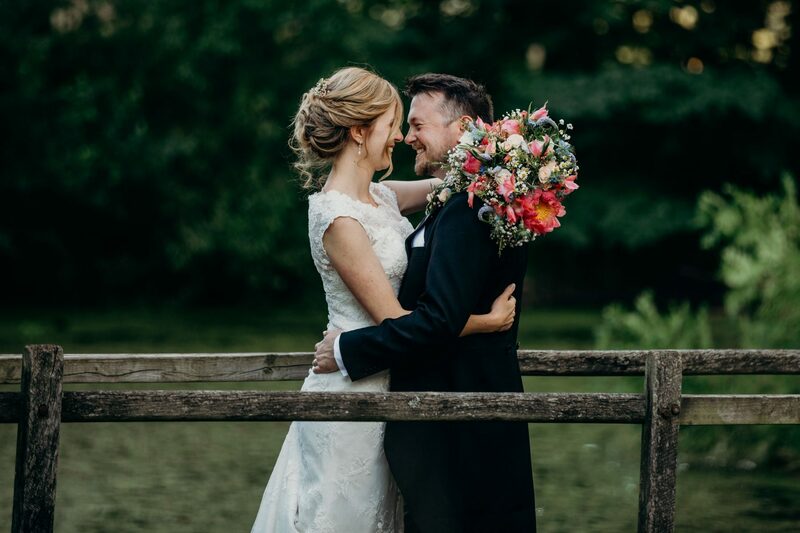 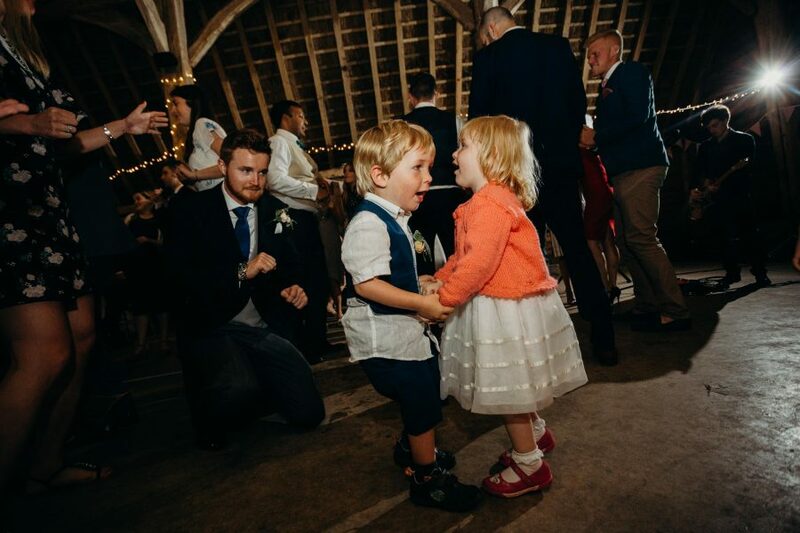 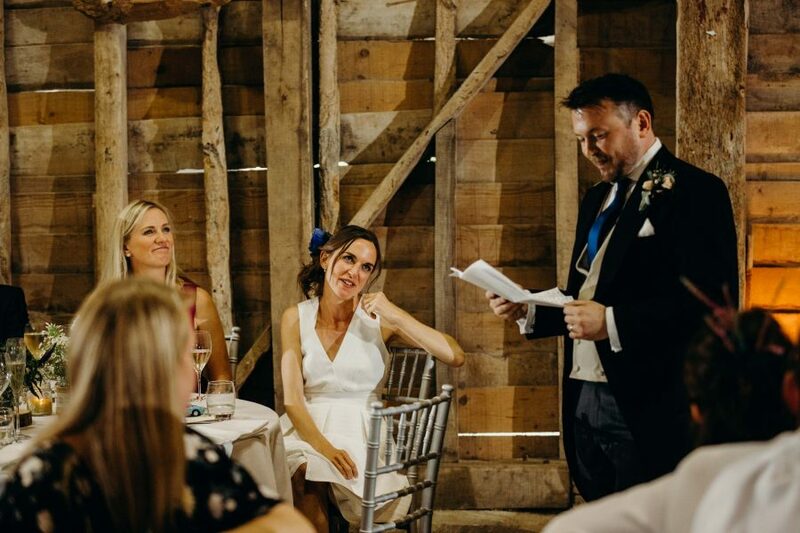 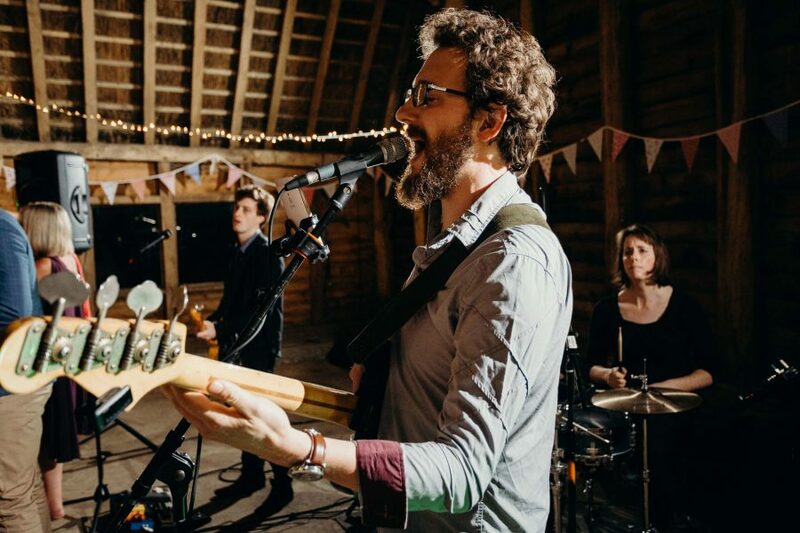 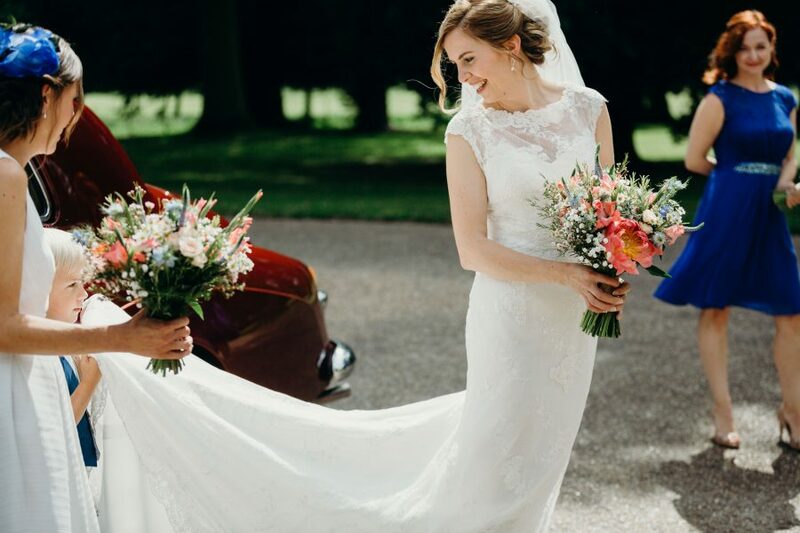 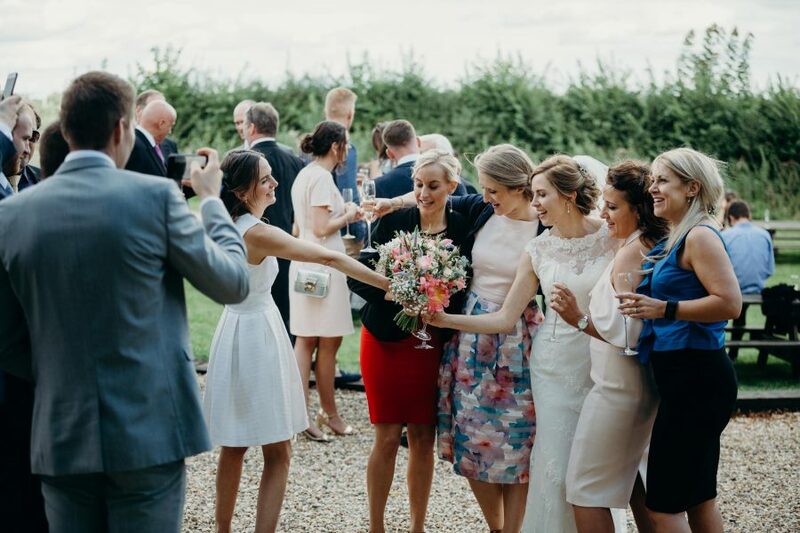 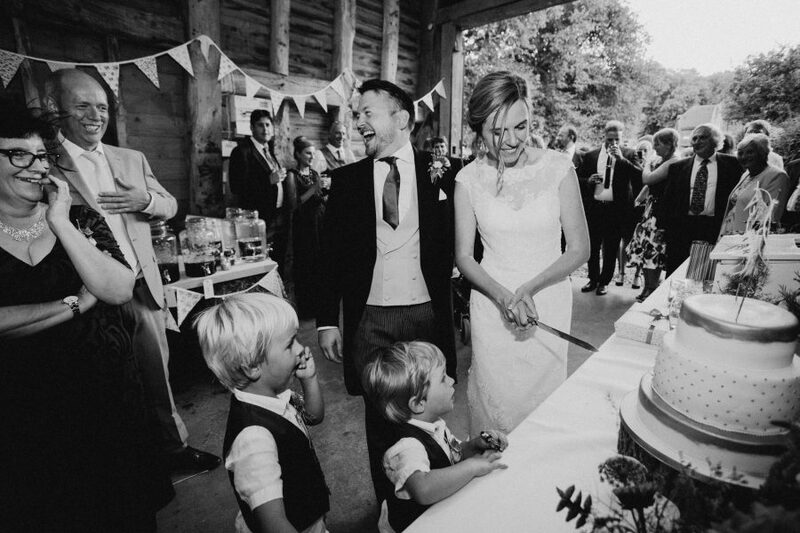 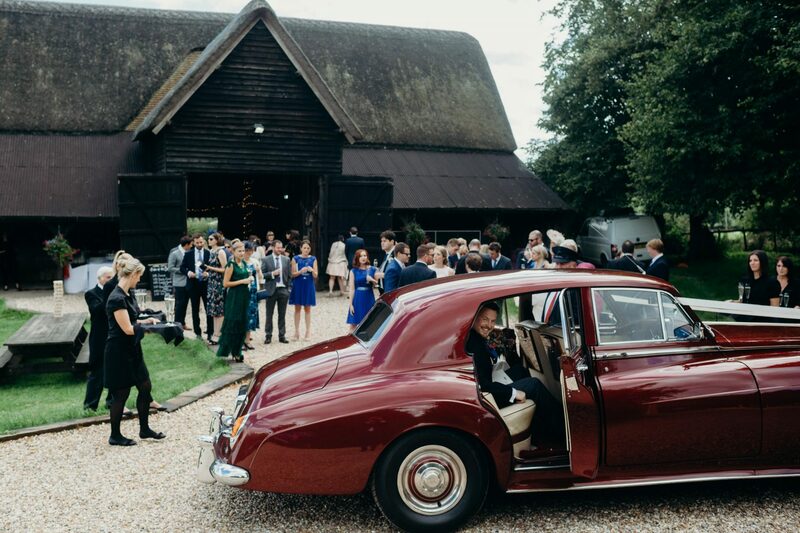 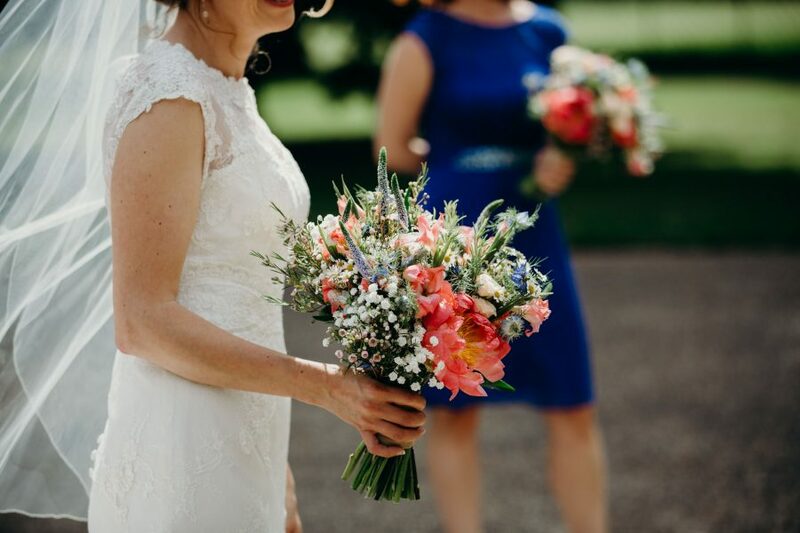 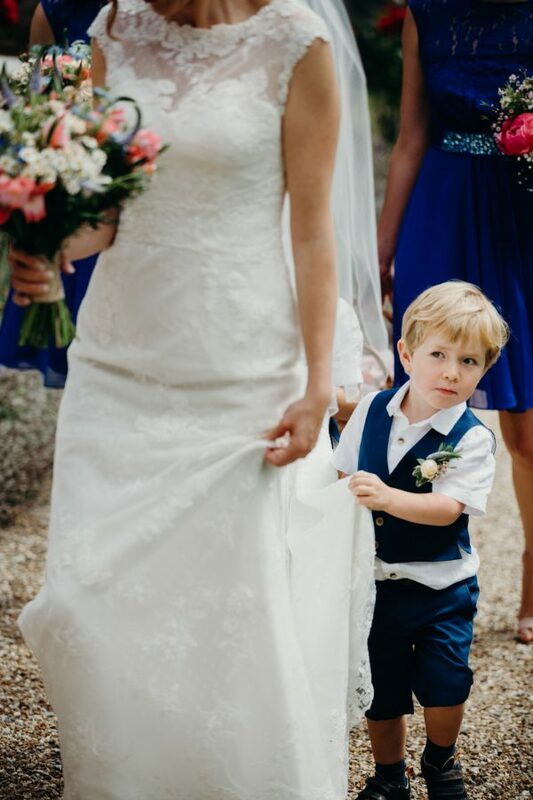 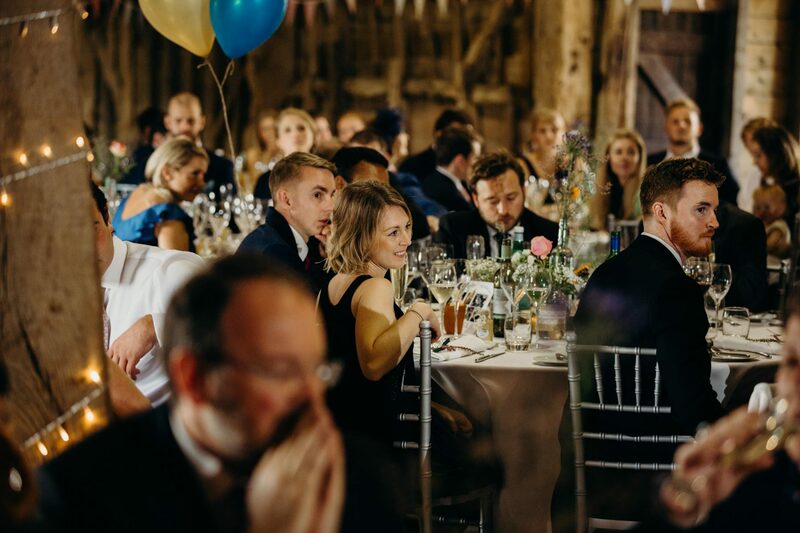 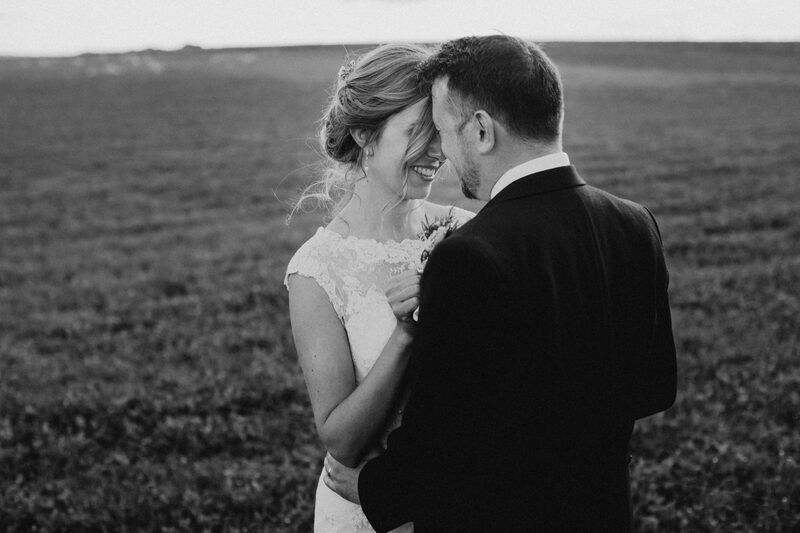 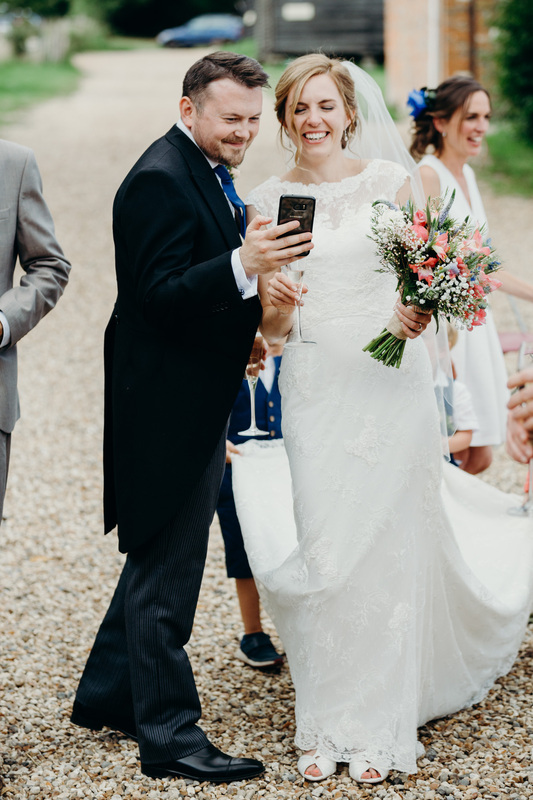 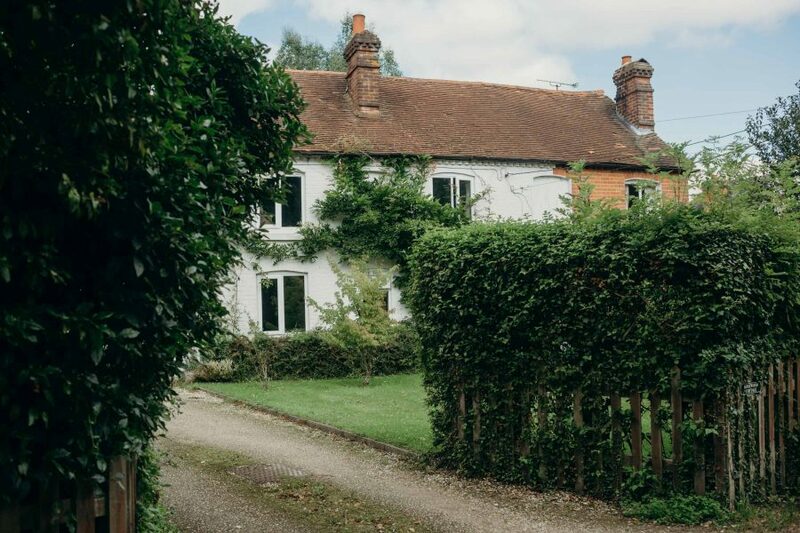 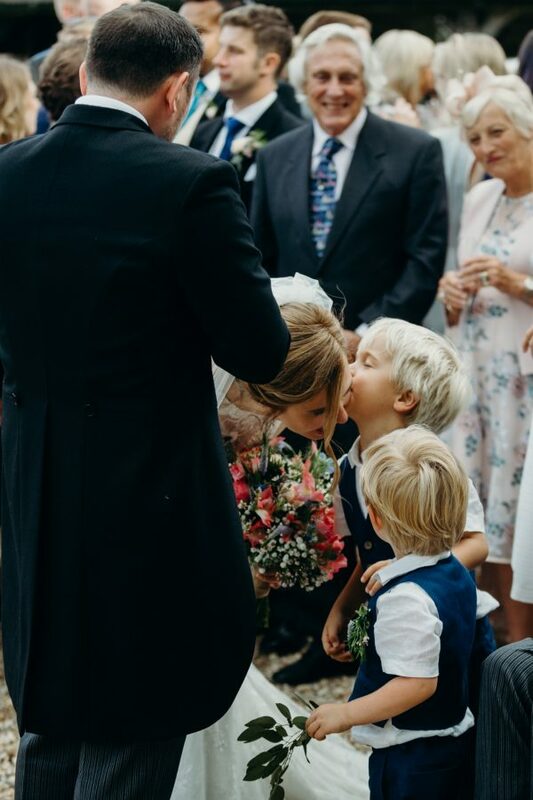 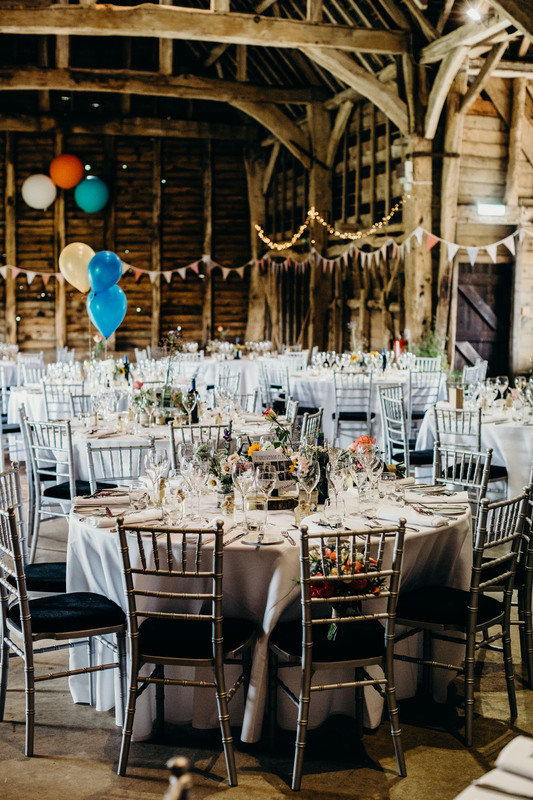 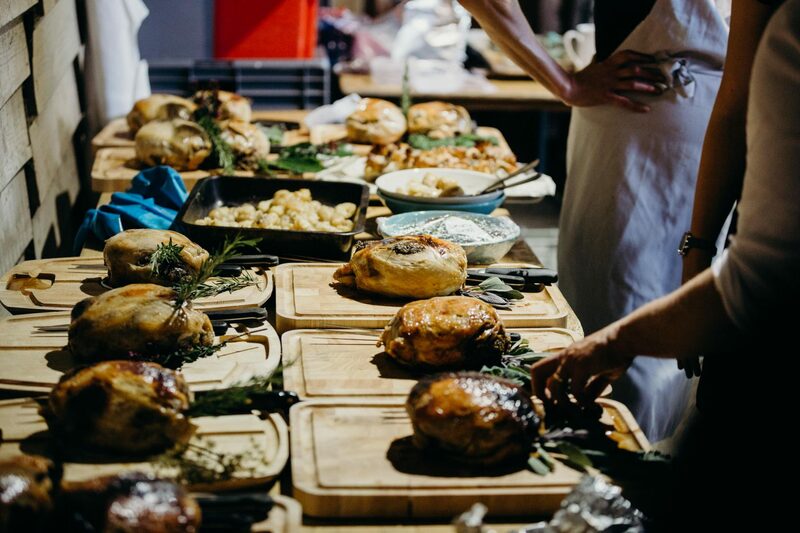 If you would like to see another pretty summer wedding take a look at Abi & Adi’s real wedding story at Heron’s Farm.